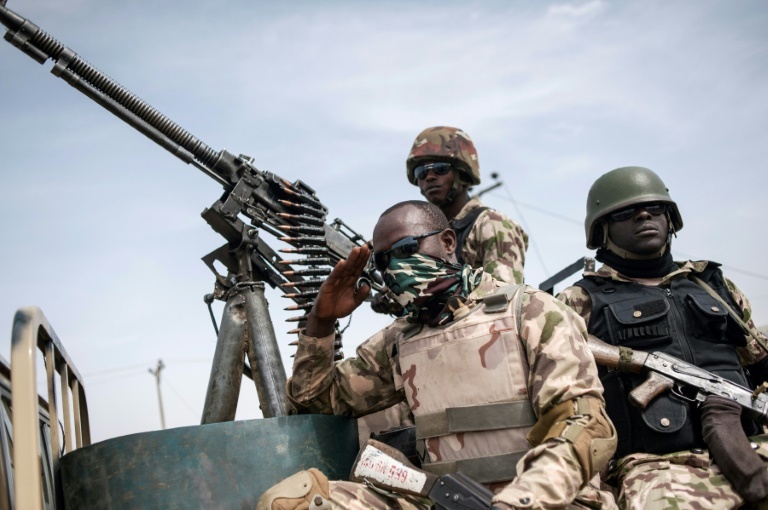 Boko Haram kills two soldiers in Nigeria attack - SABC News - Breaking news, special reports, world, business, sport coverage of all South African current events. Africa's news leader. Two soldiers were killed when suspected Boko Haram fighters loyal to factional leader Abubakar Shekau attacked a military base in northeast Nigeria, security sources told AFP on Sunday. The use of human bombs is a hallmark of the Shekau faction, which is known to operate in the area. Last month, Shekau released video claiming attacks against troops in Gulumba. “We lost two soldiers and two more were injured in the attack by the Shekau faction,” says one military source. A second source says the suicide bomber tried to infiltrate the base but was “neutralised” by troops. He also says two soldiers were killed and two others were injured. “The terrorists faced stiff resistance and were forced to withdraw,” he adds. Attacks by fighters loyal to Shekau have reduced considerably in recent months, which sources attribute to the firebrand leader’s ill health. ISWAP split from Shekau’s faction in mid-2016 in protest at the latter’s indiscriminate targeting of civilians, and pledged to hit only “hard” military or government targets. This entry was posted on 09 Dec 2018,03:30PM at 3:30 PM and is filed under Africa, Homepage Featured Story Slider. You can follow any responses to this entry through the RSS 2.0 feed. Both comments and pings are currently closed.